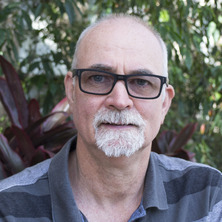 Dr Booth's research interests include the energetics and biology of reproduction and incubation in reptiles and birds, the effect of temperature on physiological processes and respiratory gas exchange between animals and their environment. Current studies include respiratory gas exchange and embryonic development in lungfish, reproductive ecology and physiology of sea and fresh water turtles and lizards, water economy during aestivation of burrowing desert frogs and the effects of hypoxia on embryonic development in crocodiles and turtles. Dr Booth's research interests include the energetics and biology of reproduction and incubation in reptiles and birds, the effect of temperature on physiological processes and respiratory gas exchange between animals and their environment. Current studies include respiratory gas exchange and embryonic development in lungfish, reproductive ecology and physiology of sea and fresh water turtles and lizards, water economy during aestivation of burrowing desert frogs and the effects of hypoxia on embryonic development in crocodiles and turtles. My research on how incubation temperature impacts on physiological and biological processes has broad implications for managing and understanding the influence of global climate change on biological systems. In particular knowing how increases in incubation temperature of reptiles influences the hatching sucess and hatcling quality helps us to understand how increases in global temperature is likely to influence the species survival. Journal Article: Incubation temperature induced phenotypic plasticity in oviparous reptiles: where to next? Booth, D. T. (2004). Artificial Incubation. In D.C. Deeming (Ed. ), Reptilian Incubation: Environment, Evolution and Behaviour 1 ed. (pp. 253-263) UK: Nottingham University Press. Booth, D. T. and Jones, D. N. (2002). Underground nesting in the megapodes. In D.C. Deeming (Ed. ), Avian Incubation - Behaviour, Environment, and Evolution (pp. 192-206) New York, USA: Oxford University Press. Incubation temperature induced phenotypic plasticity in oviparous reptiles: where to next? How do goannas find sea turtle nests? Who are the important predators of sea turtle nests at Wreck Rock beach? Longer incubation periods are energetically costly for turtle embryos. Incubation of Rigid-shelled Turtle Eggs: do Hydric Conditions Matter? Booth, D. T. (2002) The doubly-labeled water technique is impractical for measurement of field metabolic rate in freshwater turtles. Herpetological Review, 33 2: 105-107. Booth, D. T. (2000) Incubation of eggs of the Australian broad-shelled turtle, Chelodina expansa (Testudinata: Chelidae), at different temperatures: Effects on pattern of oxygen consumption and hatchling morphology. Australian Journal of Zoology, 48 4: 369-378. Booth, D. T. (1999) Incubation temperature and growth of Brisbane River turtle (Emydura signata) hatchlings. Proceedings of the Linnean Society of New South Wales, 1999 121: 45-52. Booth, D. T. (1999) Size, water and energy content of eggs of the freshwater turtles, Emydura signata and Chelodina expansa. Proceedings of the Linnean Society of New South Wales, 1999 121: 53-59. Incubation of turtle eggs at different temperatures: Do embryos compensate for temperature during development? Booth, David T. (1995) Oxygen availability and embryonic development in sand snail (Polinices sordidus) egg masses. Journal of Experimental Biology, 198 1: 241-247. Block, Barbara B., Booth, David and Carey, Francis G. (1992) Direct measurement of swimming speeds and depth of blue marlin. Journal of Experimental Biology, 166 267-284. FEDER, ME and BOOTH, DT (1992) HYPOXIC BOUNDARY-LAYERS SURROUNDING SKIN-BREATHING AQUATIC AMPHIBIANS - OCCURRENCE, CONSEQUENCES AND ORGANISMAL RESPONSES. Journal of Experimental Biology, 166 237-251. BOOTH, DT (1987) HOME RANGE AND HATCHING SUCCESS OF MALLEEFOWL, LEIPOA-OCELLATA GOULD (MEGAPODIIDAE), IN MURRAY MALLEE NEAR RENMARK, SA. Australian Wildlife Research, 14 1: 95-104. Booth, D.T., Chu, C.T., Ireland, K. and Ischer, T. (2008). The Significance of Incubation Temperature to Sea Turtle Biology. In: S. Morris and A. Vosloo, Proceedings of 4th CPB Meeting in Africa: MARA 2008. Molecules to Migration: The Pressures of Life. 4th CPB Meeting in Africa: MARA 2008, Kenya, (339-347). 19-25 July 2008. Booth, D. T. (2003). Ecology and Dispersal of Coral Reef Fishes outside their Ranges. In: Understanding and protecting coral reefs: program and abstracts from Australian Coral Reef Society 80th Annual Conference, 26-29 September 2003, Jupiters Hotel/Casino, Townsville. Australian Coral Reef Society 80th Annual Conference, Jupiters Hotel/Casino, Townsville, Queensland, (21-21). 26 - 29 September 2003. Burgess, E., Booth, D. T. and Lanyon, J. M. (2003). The effect of incubation temperature on morphology and swimming performance of the green sea turtle hatchling. In: Wayne N. Witzell, Proceedings of the Twenty-second Annual Symposium on Sea Turtle Biology and Conservation. 22nd Annual Symposium on Sea Turtle Biology and Conservation, Miami, Florida, USA, (184-184). 4 - 7 April 2002. Booth, D. T. and Burgess, E. (2001). Effect of incubation temperature on yolk reserves and energy content of hatchling green turtles (Chelonia mydas). In: S. Orgeig and S. Munns, Proceedings of 18th Annual Conference of the Australian and New Zealand Society for Comparative Physiology and Biochemistry. 18th Annual Conference of the Australian and New Zealand Sociy, Adelaide, (12-12). 6-9 December 2001. Booth, D. T. (2000). Soil selection in a burrowing frog, Cyclorana alboguttata. In: Hulbert, Tony and Baudinette, Russell, Proceedings 17th Annual Meeting Australian and New Zealand Society for Comparative Physiology and Biochemistry. 17th Annual Meeting Australian and New Zealand Society for Comparative Physiology and Biochemistry, Deakin University, Melbourne, (2-2). 8-10 Dec 2000. BOOTH, DT, CLAYTON, DH and BLOCK, BA (1991). ECTOPARASITES INCREASE ENERGY-METABOLISM OF THEIR HOSTS. In: , , (A124-A124). . Does incubation temperature determine swimming ability of green turtle Chelonia mydas hatchlings from natural nests? The importance of soil type and cocoon formation in aestivating desert frogs. A bioeconomic model of the effect of harvesting on the population dynamics of the red kangaroo. Habitat requirements for nesting and early life-stages of the endangered Mary River turtle (Elusor macrurus): Insights for conservation.